presented to the top 10 finishers in each class. 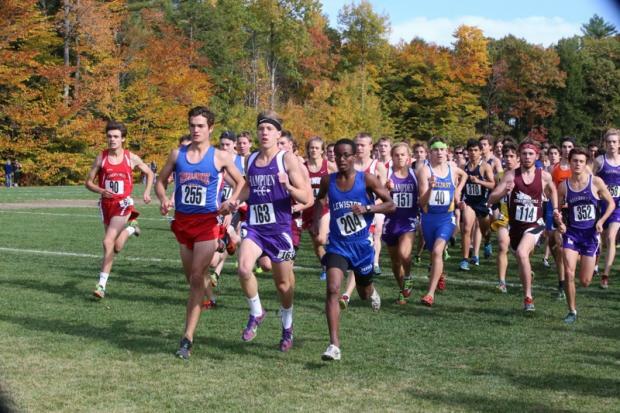 Qualifications for State Meet: Team - One half of the teams that start the race will qualify for the State Meet. The exact number of teams qualifying will be derived at the starting line and announced. Individual -The top 30 in all classes will qualify for State Meet. 10 finishers in each class. qualify for the State Meet. Individuals-The top 30 in each class will qualify for the State Meet. Chair of non-participation by the school will result in a two year ban from Regionals.